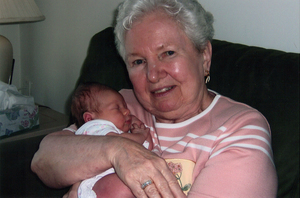 Provide comfort for the family of Rita Saybolt with a meaningful gesture of sympathy. 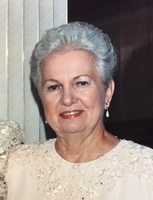 RITA T. SAYBOLT (nee McBride), age 92, on Feb. 17, 2019. Devoted wife to the late Eugene. Loving mother to Kathleen Convery (Gerald), Patricia Saybolt, Georgeann Ball (Gregory) and Colleen Arnold (Edward, Jr.). Beloved grandmom to Christopher and Kevin Convery and Katelyn Arnold. Cherished great grandmom to Ryan, Dylan, Shane and Emma Convery. Dear sister to Jack and Eugene McDonald and the late Edmond and Leonard McBride. Relatives and friends are invited to her viewing Friday, 8:30am until 10:00am at L. A. DiGIACOMO, Inc. FUNERAL HOME, 1055 Southampton Road, Phila., followed by funeral mass 10:30AM at St. Christopher Church, 13301 Proctor Rd., Phila. Interment Resurrection Cemetery. In lieu of flowers, memorial contributions can be made to Holy Redeemer Health System, Office of Philanthropy, 521 Moredon Road, Huntingdon Valley, PA 19006 ( please write for hospice or homecare in the memo) or donate online at www.HolyRedeemer.com. 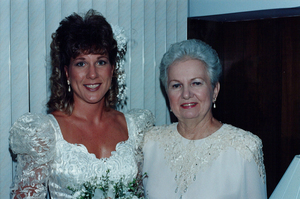 Provide comfort for the family of Rita Saybolt (McBride) by sending flowers.